From Vector To Zoonotic: Defining The Terms Of Infectious Diseases : Goats and Soda The world of infectious diseases has more than a few words and phrases you might want to know more about. We've got definitions for 11 key terms. Epidemic: A sudden increase in the number of cases of a disease in a particular geographic area, beyond the number health officials typically expect. An increase that occurs in a relatively small geographic area or among a small group of people may be called an "outbreak." For example, the Centers for Disease Control and Prevention calls HIV/AIDS, which affects 1.2 million people in the United States, an "epidemic." By contrast, the CDC called two cases of sickness from drinking raw milk (listeriosis) in the United States an "outbreak." Pandemic: An epidemic spanning many countries and/or several continents. The difference between an outbreak, an epidemic and a pandemic can be murky and depends on the opinions of scientists and health officials. Emerging disease: A disease that occurs in the population of a certain geographic region for the first time, or a disease that's been present at low levels in a region but then rapidly reaches new peaks in the number of cases reported. Reservoir: An animal, plant or environment in which a disease can persist for long periods of time. For example, some bats serve as a reservoir for rabies and can spread the disease by biting humans. But the bats — and other reservoir species — may not experience symptoms because of built-in immunity. Vector: Any living creature that can pass an infection to another living creature. 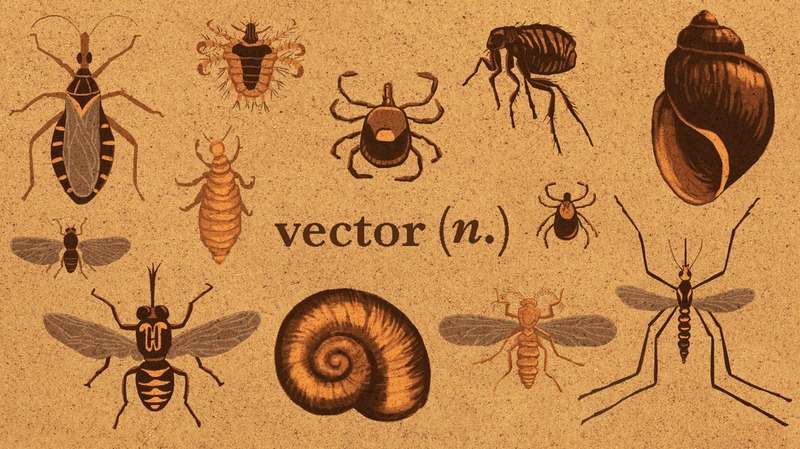 Humans are technically vectors, but the term is more commonly applied to nonhuman organisms. Spillover: The transmission of a disease from one species to another. Sometimes a disease may reside in a plant or animal or even in soil, and then spread to humans. This spread of disease is called a "spillover event." Index case: The first case of a disease known to health officials. Some epidemiologists may refer to an index case as "patient zero." Zoonotic: Any disease that spreads from animals to people. The animals can range from tiny ticks to lumbering cattle. One Health: This two-word phrase embodies the view that there's no such thing as just human health or just animal health or just the health of the environment — they're all part of One Health. That's because the health of humans is closely linked to the health of the environment and other animals. Proponents of One Health believe medical doctors, ecologists, veterinarians and other specialists should work together to improve a community's health. Microbe: A living thing too small for the eye to see, such as bacteria, fungi or viruses. Many microbes are harmless and may even benefit other living things. But some can cause disease among humans, other animals and plants. Microbes that cause disease are called "pathogens" and are informally referred to as "germs." Epidemiologist Peter Krause of the Yale School of Public Health provided invaluable input for these definitions.